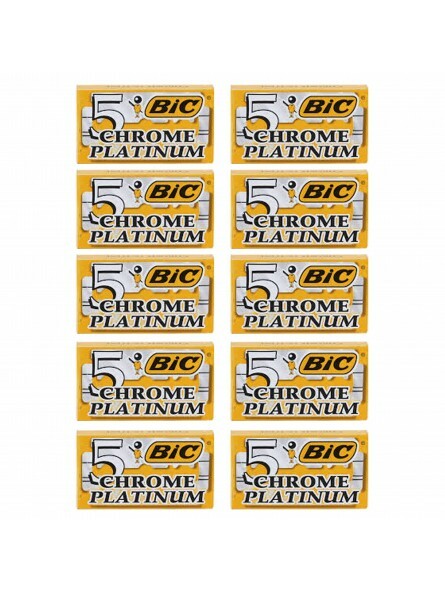 50 Bic double Edge Blades " Chrome Platinum". 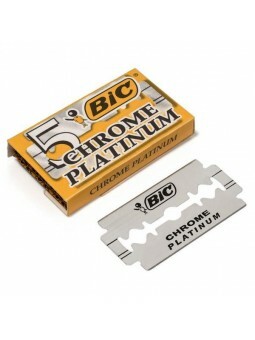 Made with hight quality stainless steel. 10 packs of 5 Doble Edge Baldes each individually wrapped. 50 blades. 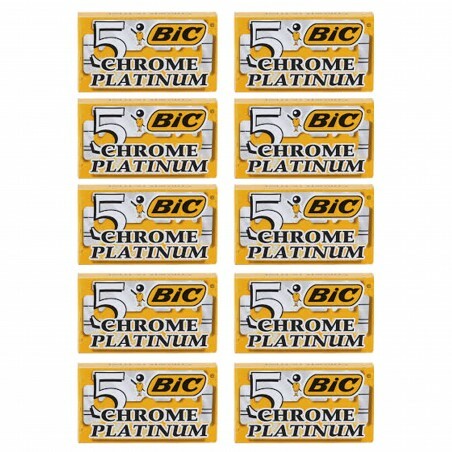 Shave 5% vs individual purchase of 5 double edge pack.